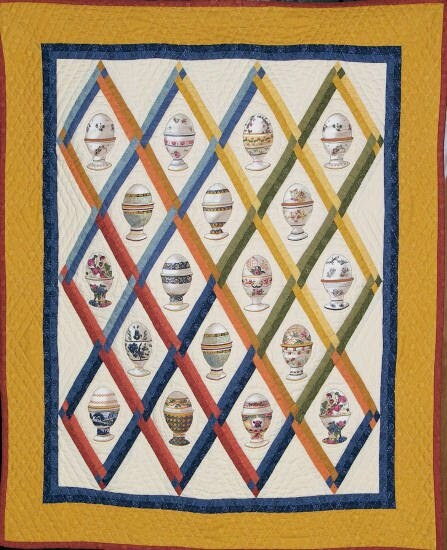 We've always had a soft spot for Easter, bunnies, and eggs. 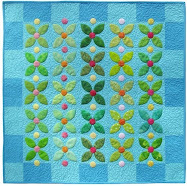 Judging from the fantastic variety of quilts we've found this spring, we're not alone! Darcy Ashton has created a series of wildly popular bunny patterns and quilts. 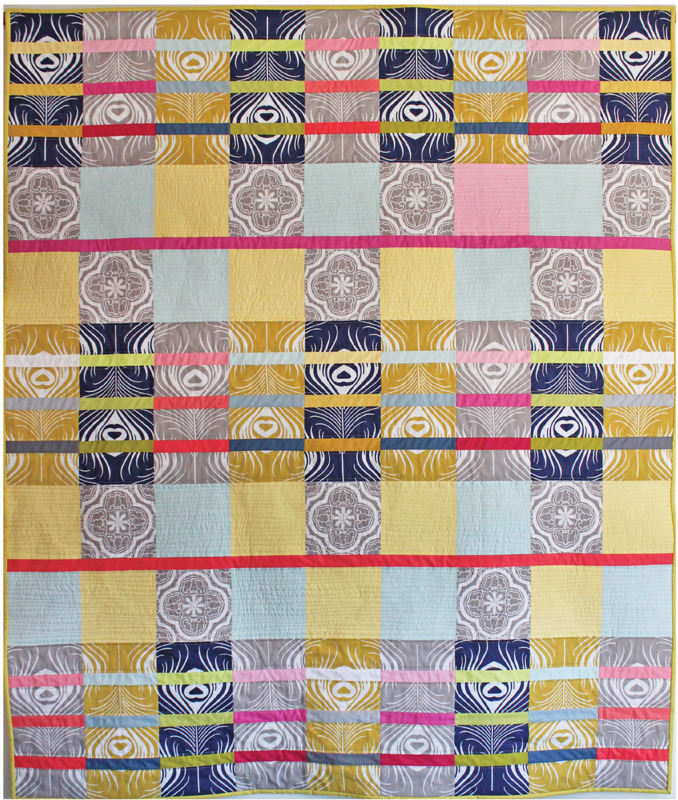 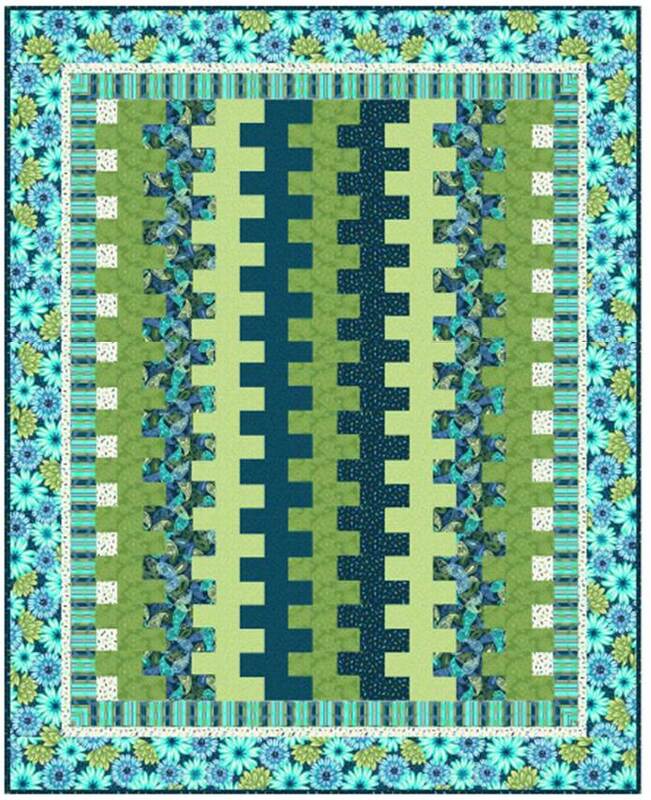 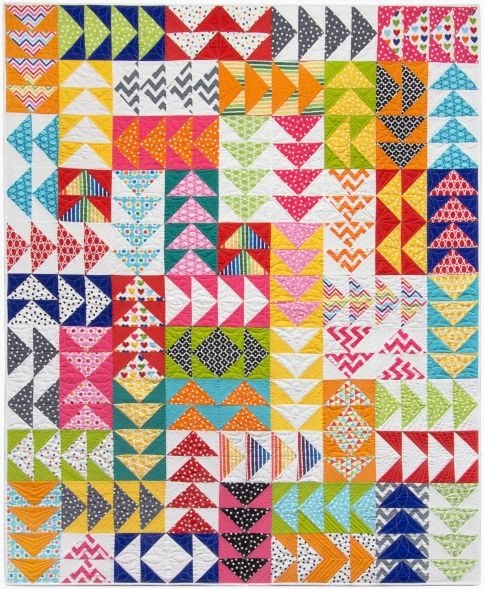 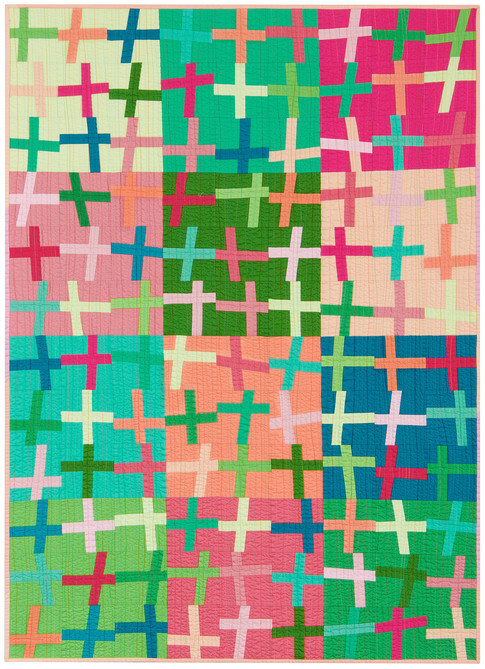 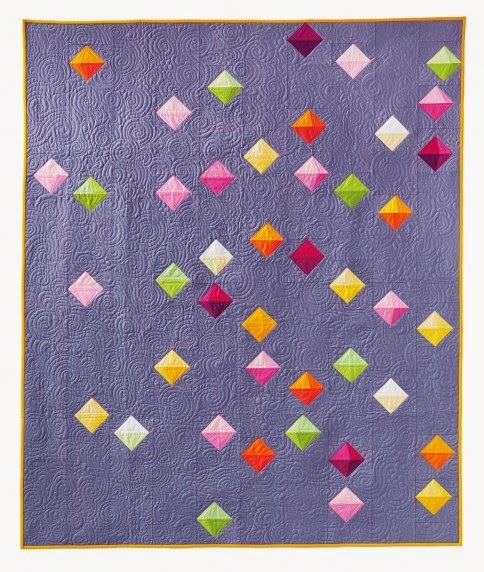 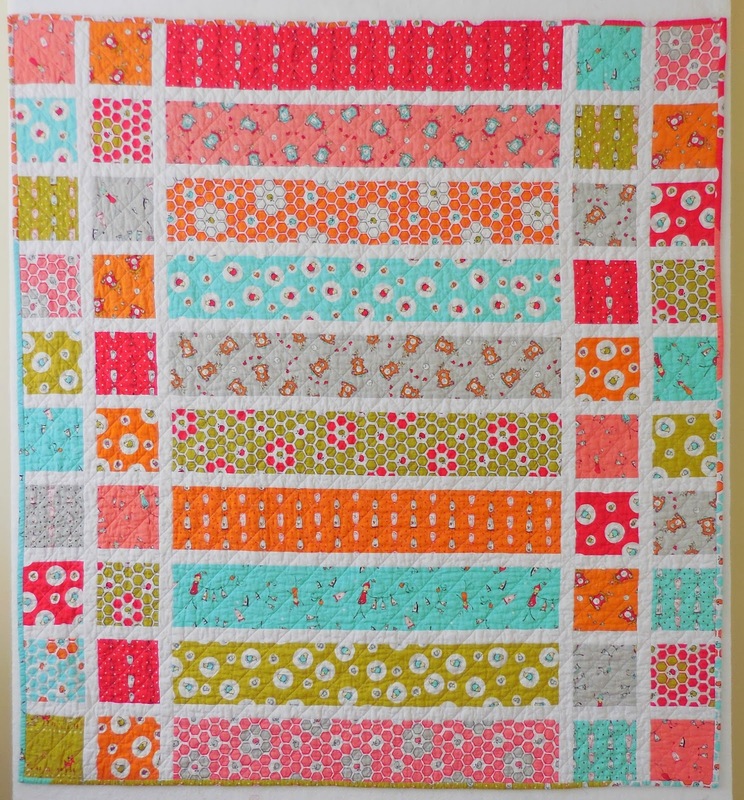 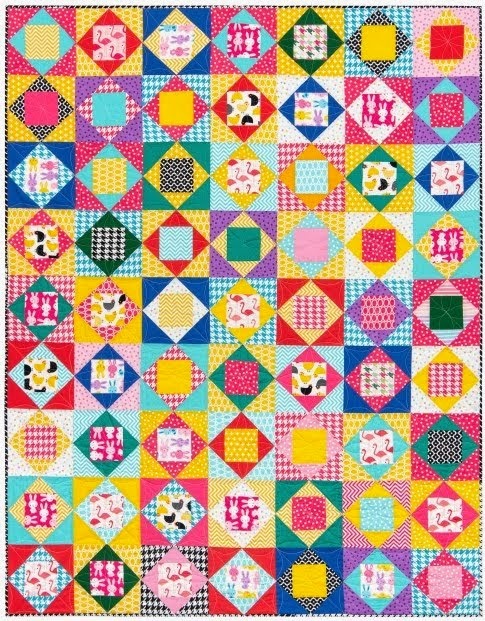 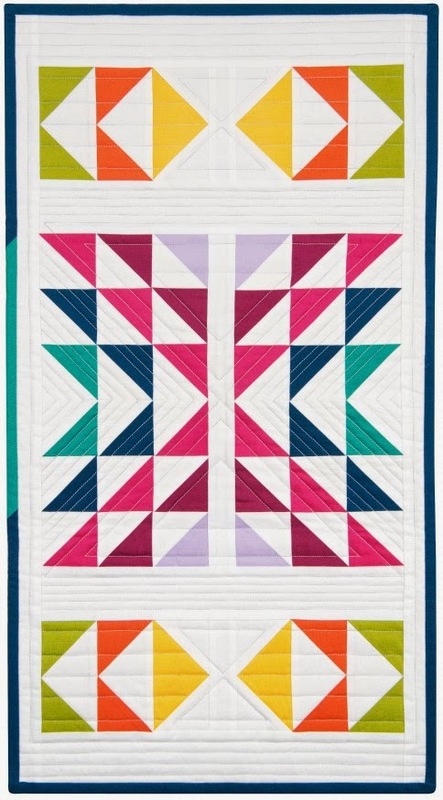 The marvelous quilt above features ten hand-appliquéd bunnies set among log cabin blocks, done in the colors of spring. 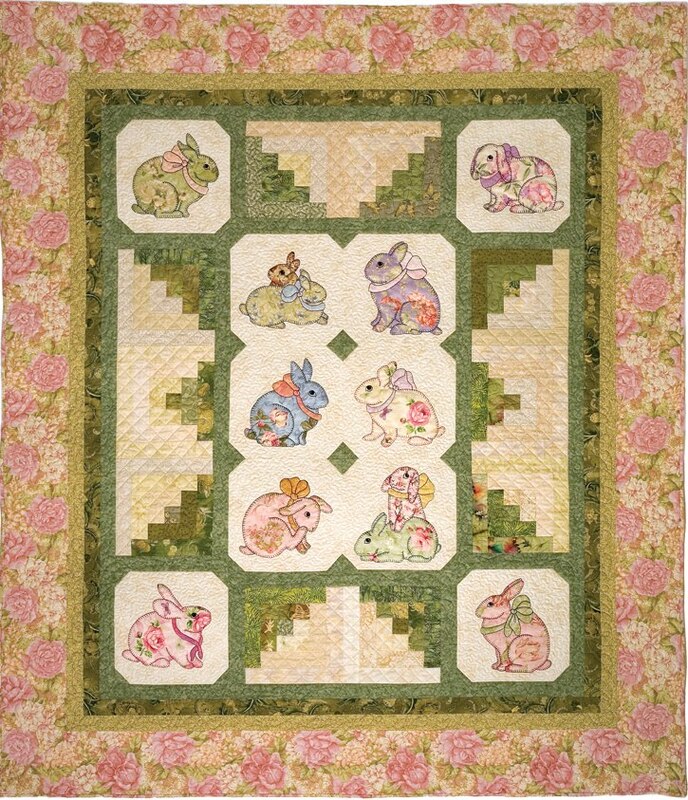 The patterns for all of the bunnies - and for eleven different quilts featuring them - are in Bunnies & More, a book by Ashton Publications. 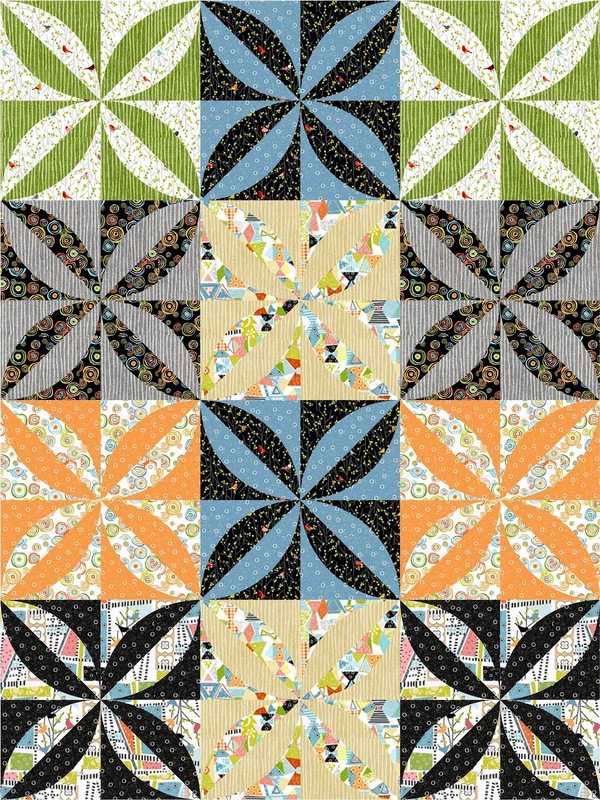 The beautiful Baltimore Bunnies Quilt by Bunny Hill Designs has twelve different appliquéd blocks, in the style of an heirloom Baltimore album quilt. Two of the ornate blocks, which feature bunnies framed by flower wreaths, are shown above. Also check out these classic Bunny Hill patterns: Garden Bunny, Sugar Bunnies, The Bunny Run, The French Rabbits, and Rabbits Prefer Chocolate. 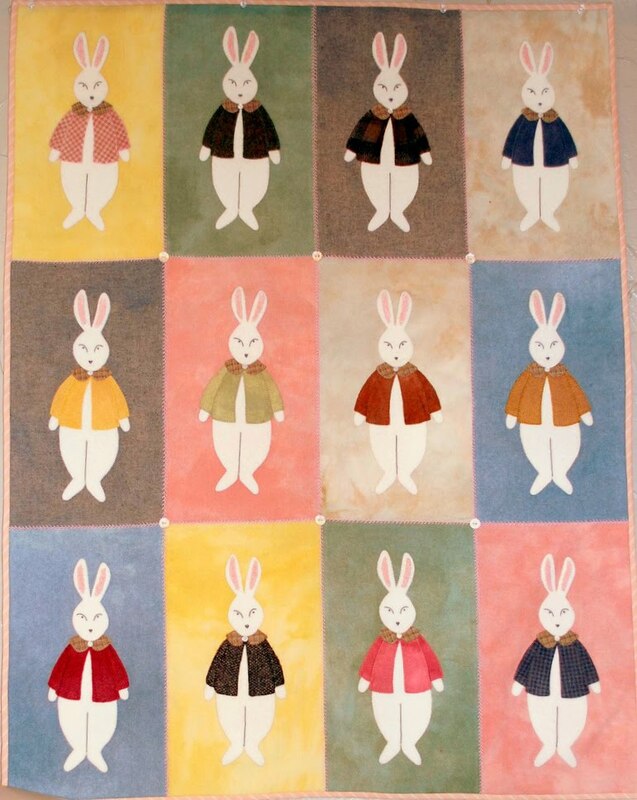 These bunnies are all dressed up! 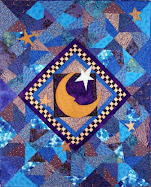 The original design is by Bonnie Sullivan for All Through the Night. 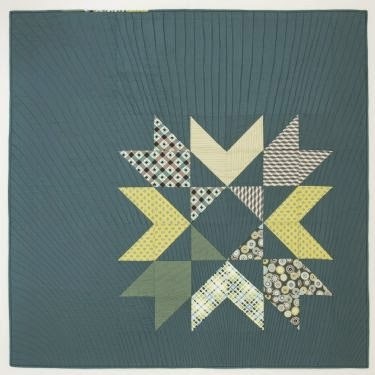 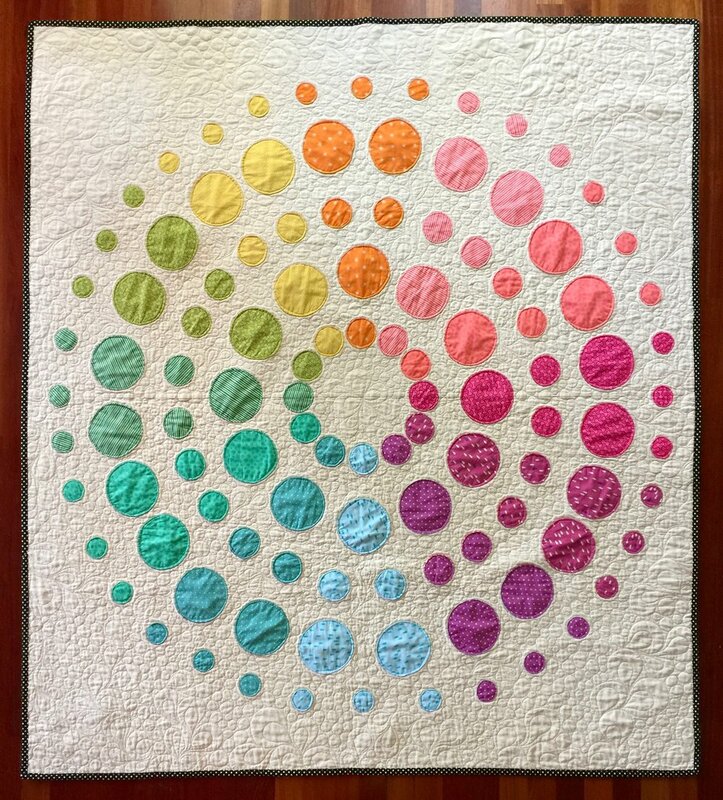 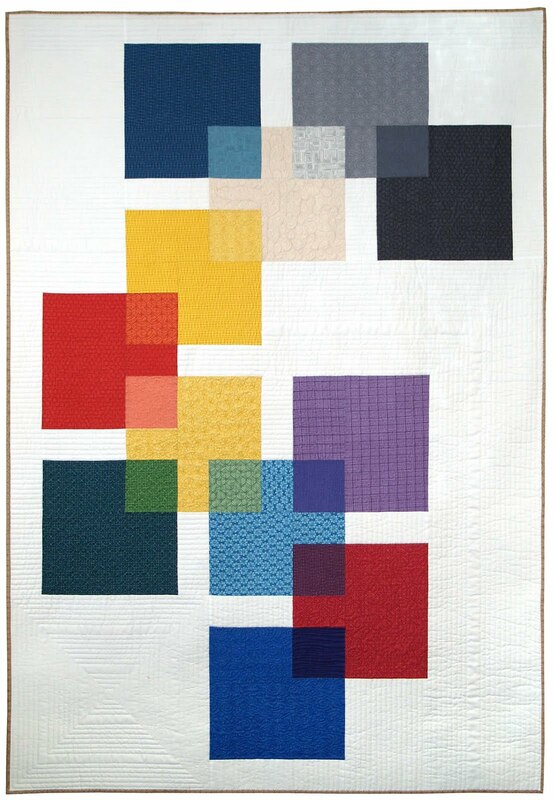 The quilt shown above was done in wool, with button and embroidery details. 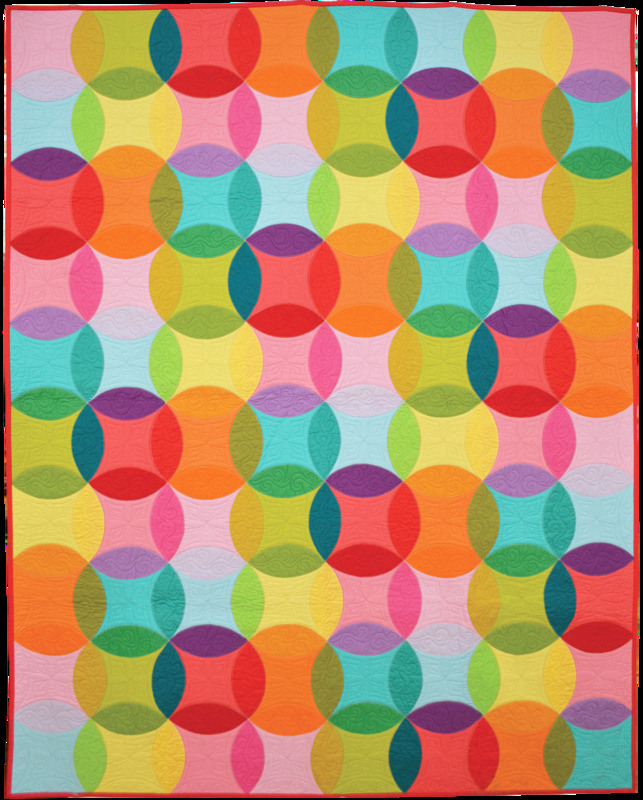 The pattern also contemplates cottons (we can imagine each bunny wearing a little plaid coat). 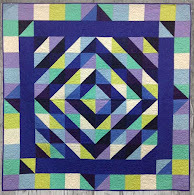 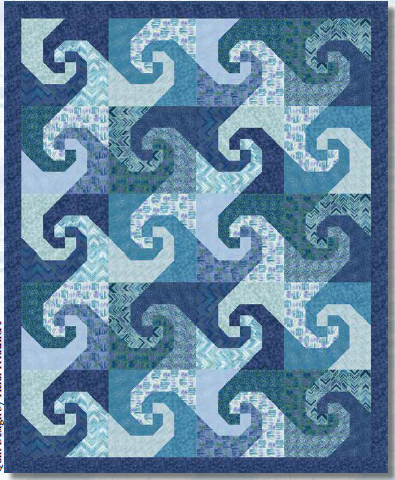 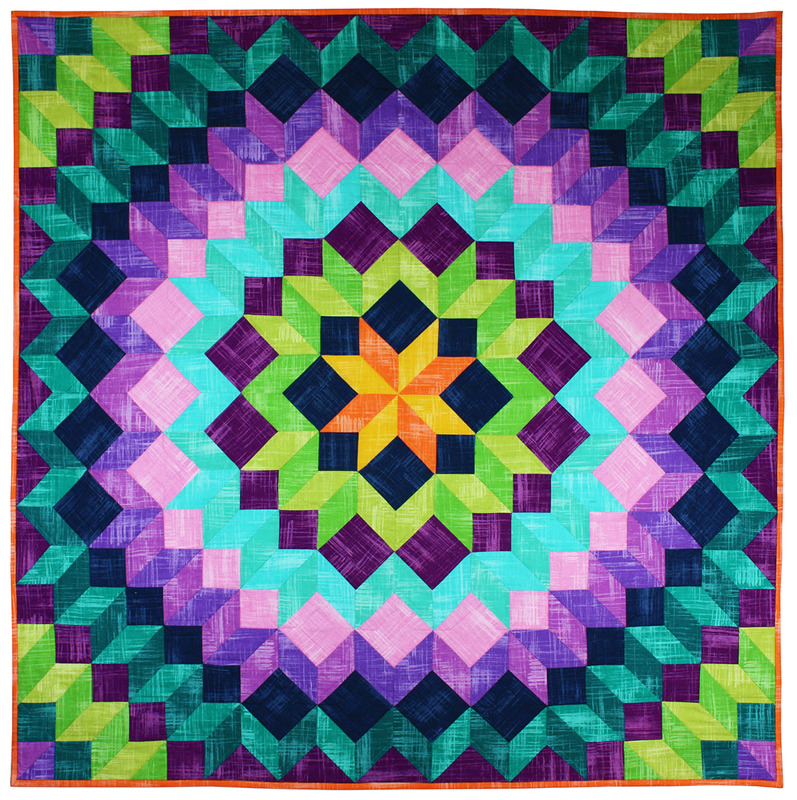 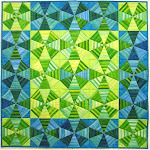 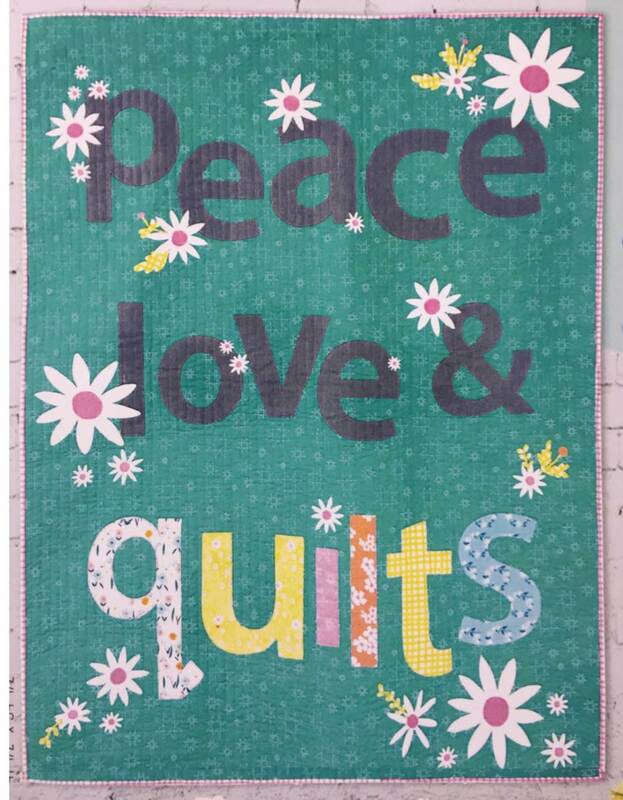 The pattern is out of print, but a few hard-to-find copies are available at Pipers Quilt Shop. 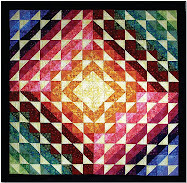 (If you happen to be in Salt Lake City, visit the real Pipers Quilts & Comforts). 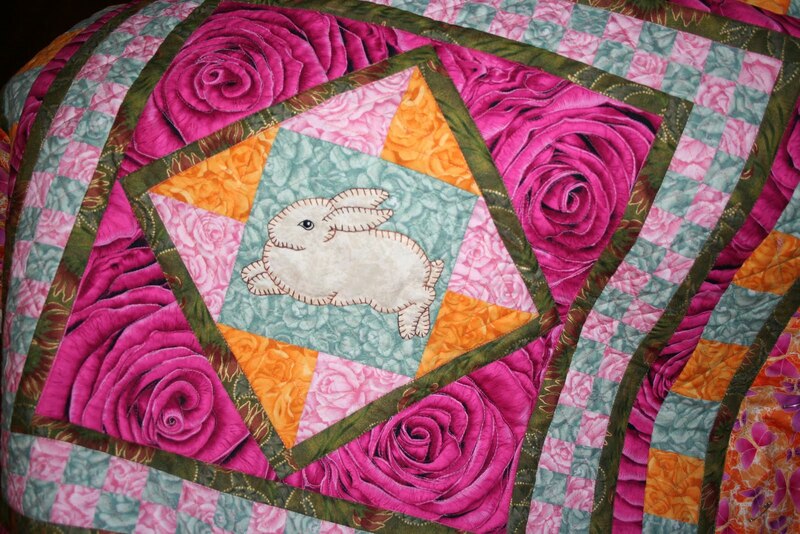 The bright pink cabbage roses, above, provide the perfect backdrop for the little white bunny. 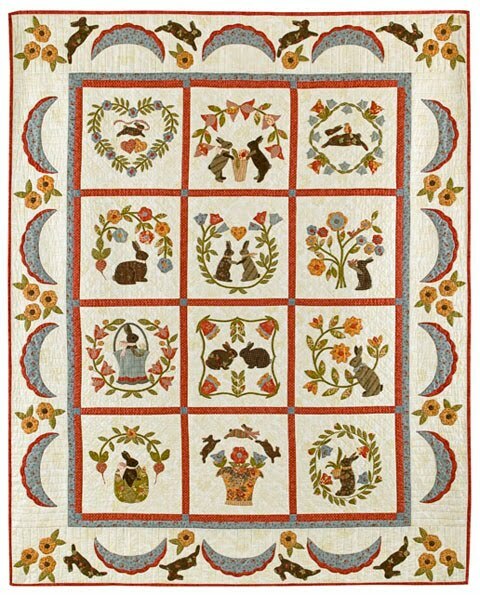 The bunny is from Darcy Ashton's original Grandma's Bunnies book. 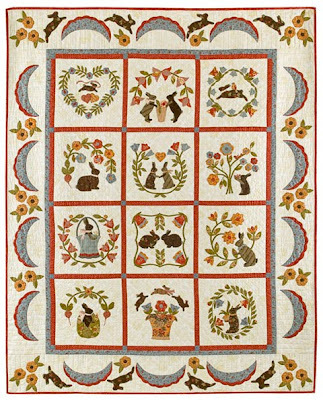 Although the book itself is out of print, the loose-leaf collection of 30 rabbit patterns is still available. 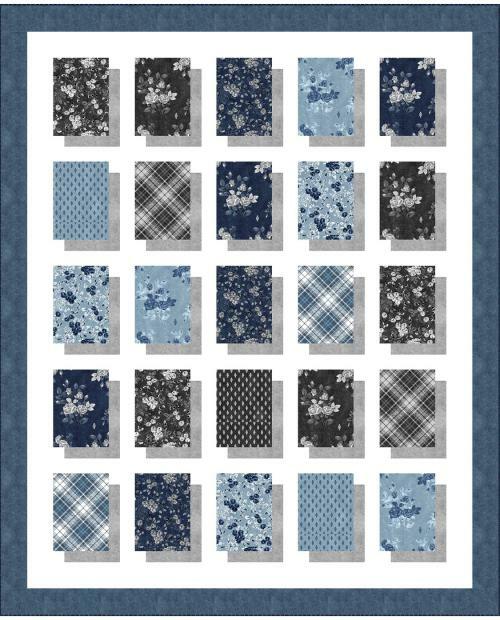 To order, see Ashton Publications' patterns page. 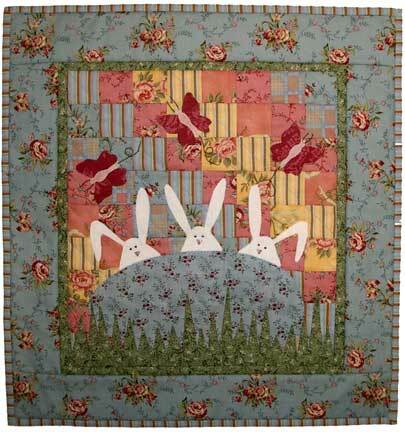 Three bunnies and an egg: do the math. 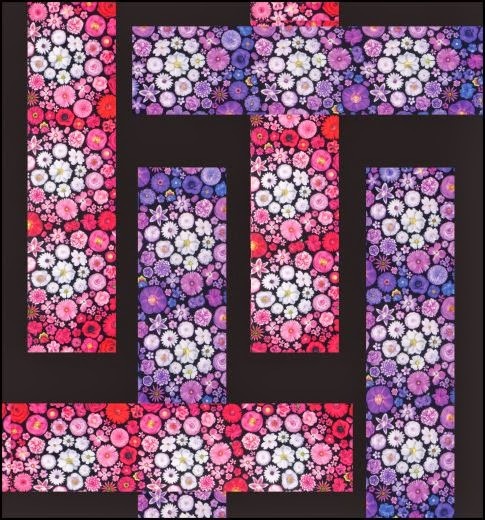 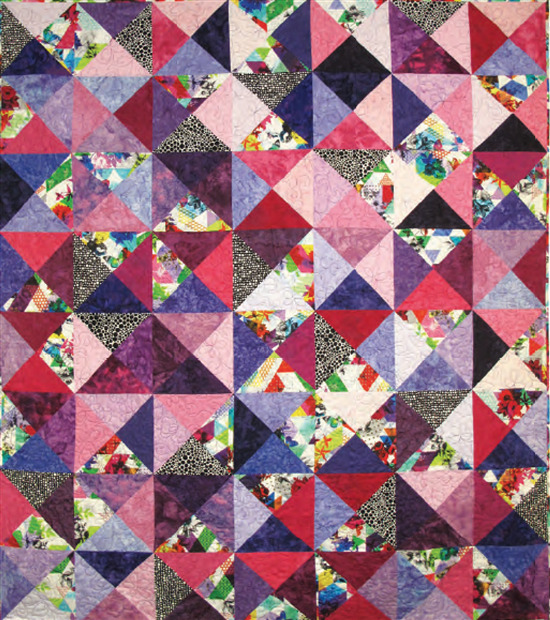 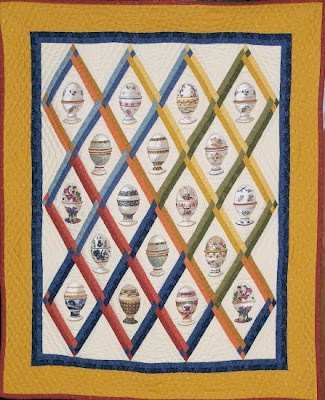 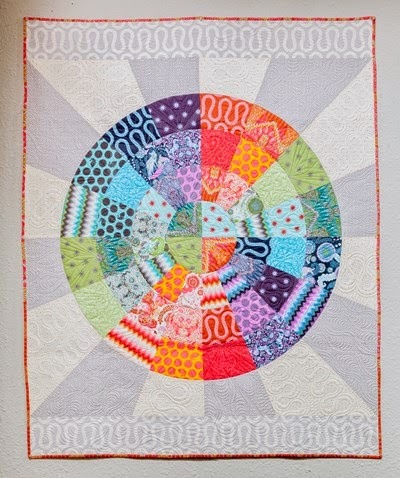 In this whimsical mini quilt, the white bunnies peer out from behind a giant egg, while pink and red butterflies... flutter by. 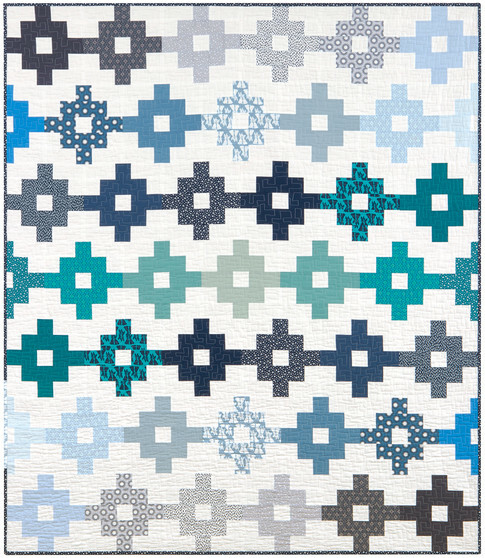 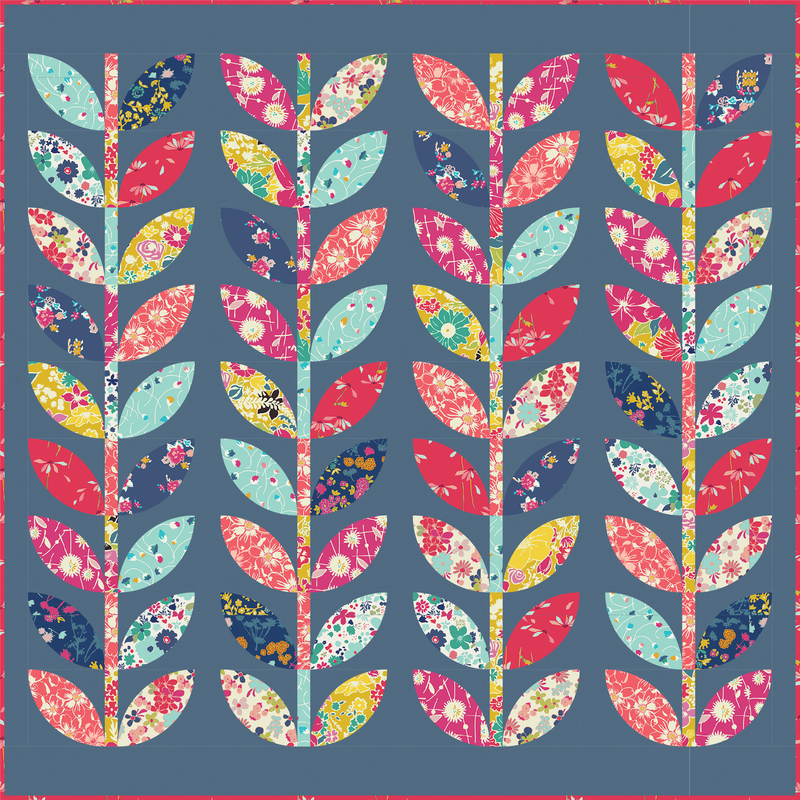 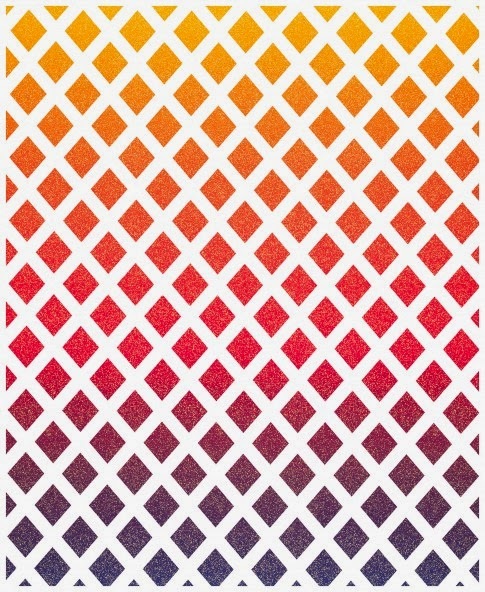 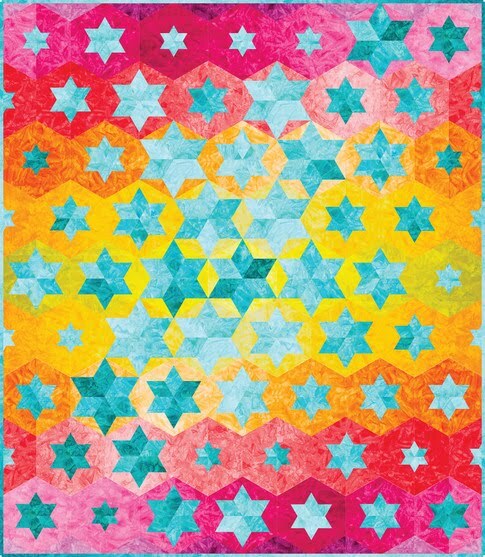 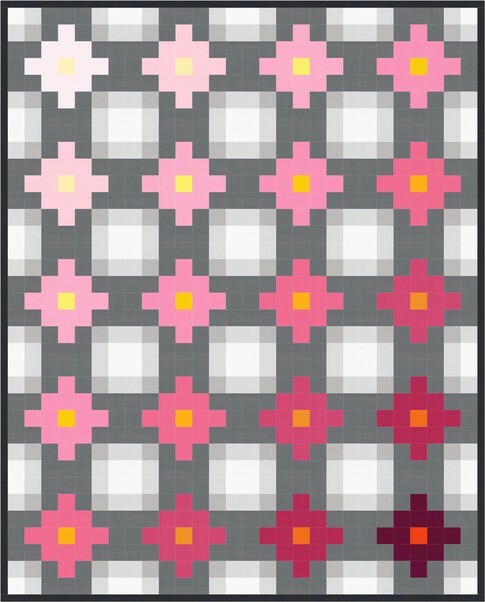 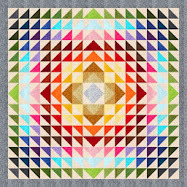 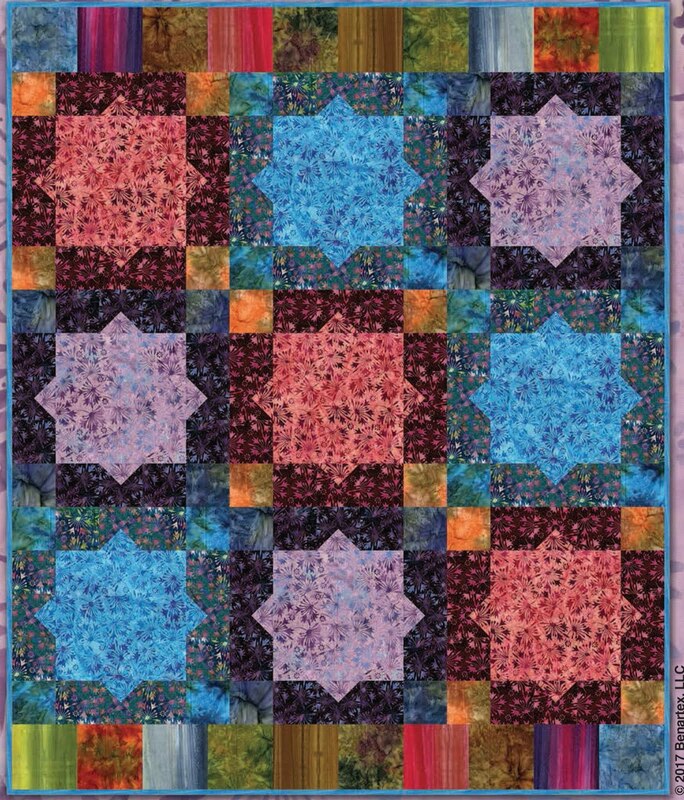 The pattern is available at Castilleja Cotton. 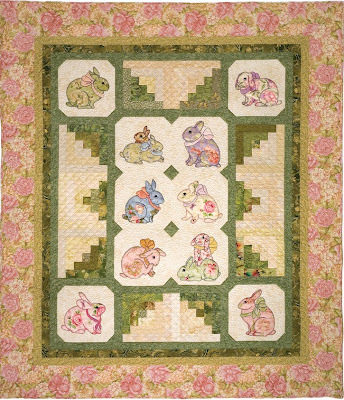 The design group at Castilleja Cotton has created nearly a dozen charming bunny and Easter patterns, so it was hard to pick a favorite. 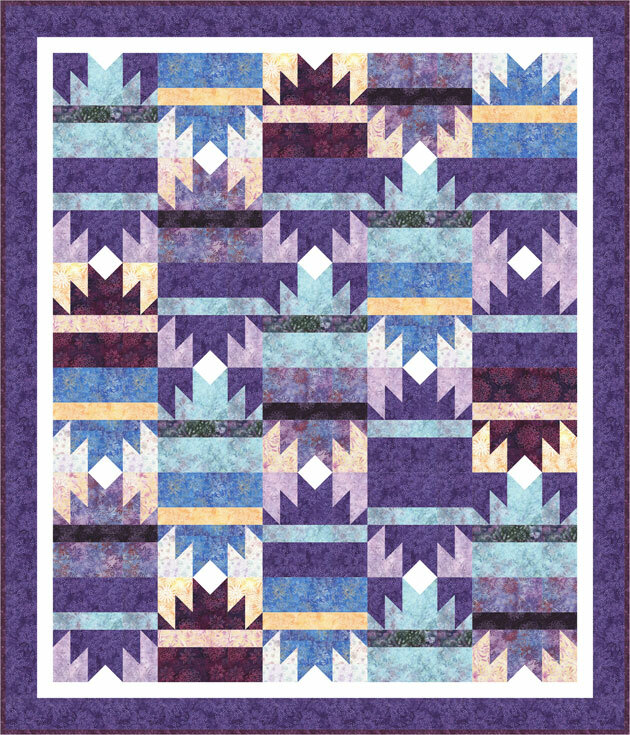 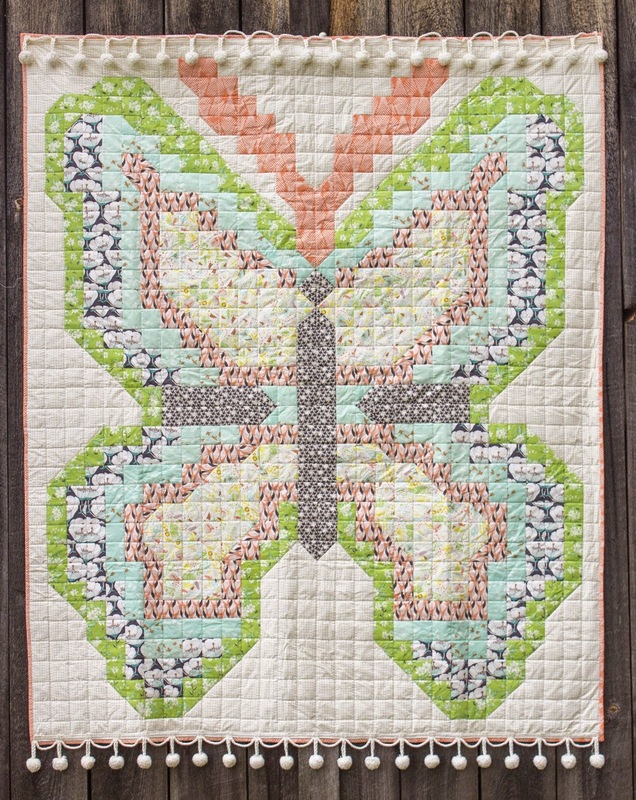 The Bargello Bunny with Butterflies quilt pattern was a close second. 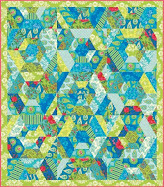 Baltimore Bunny, courtesy of Bunny Hill Designs. 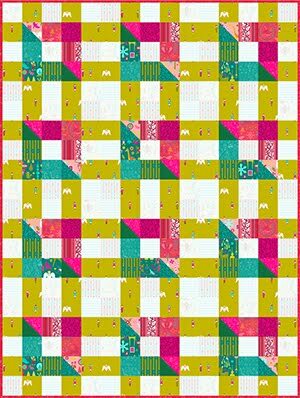 I corresponded with Darcy Ashton when she published her first pattern and recognized right away that her patterns would be a big hit. 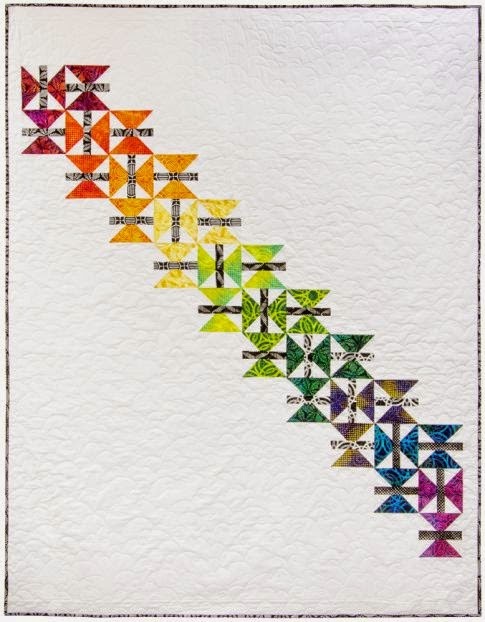 Loved seeing her work here. 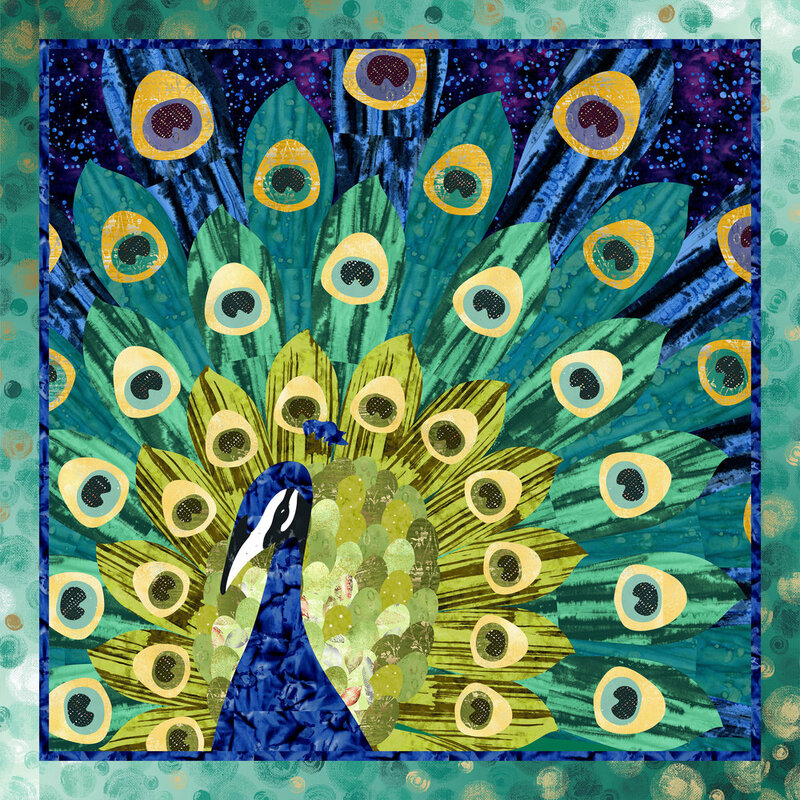 We love reading each and every comment... thanks for visiting our blog! 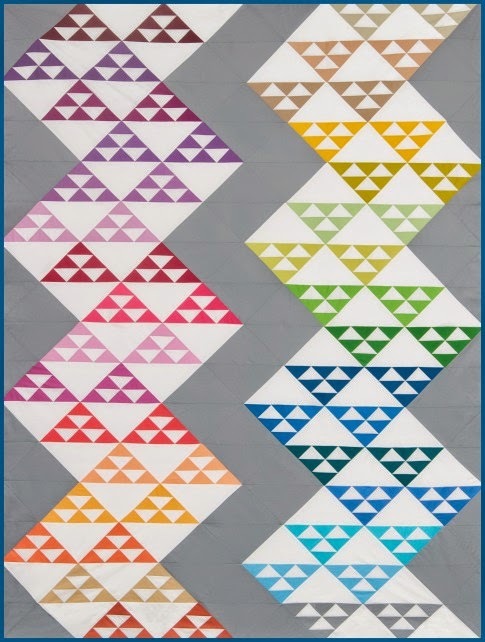 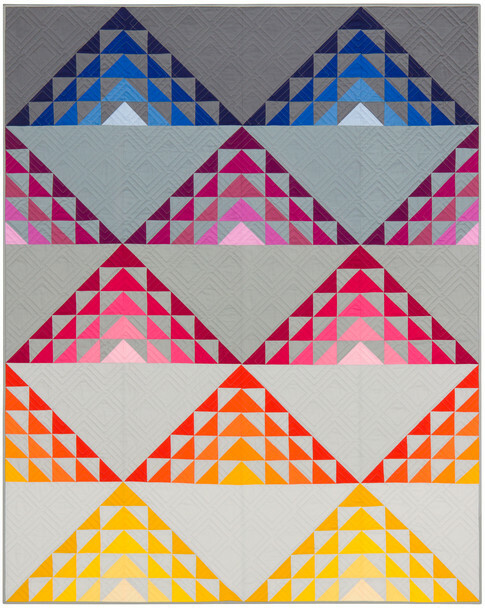 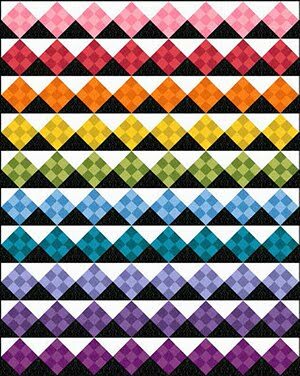 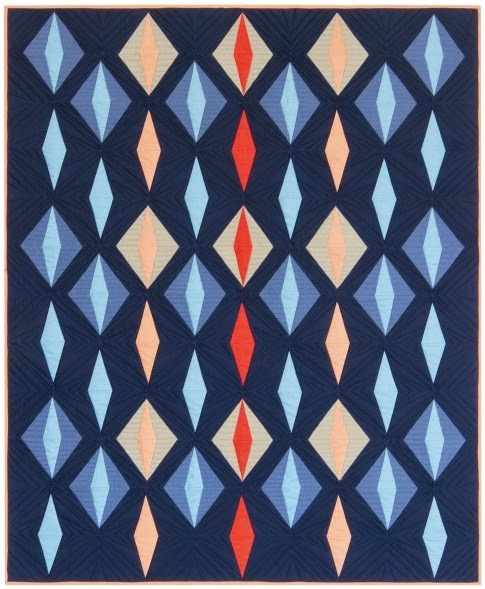 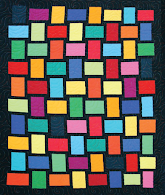 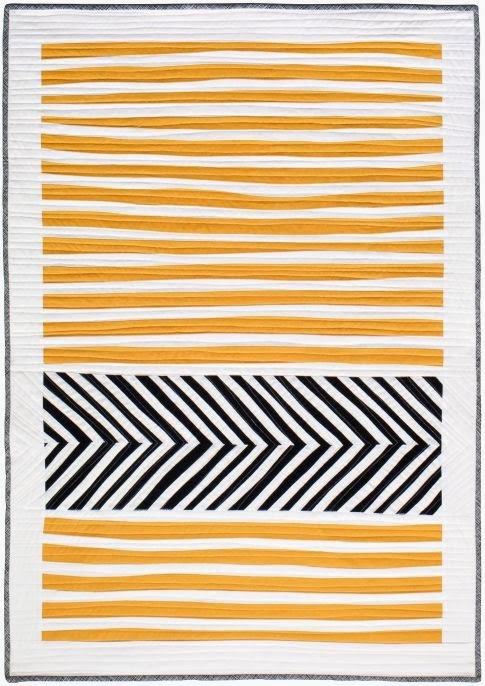 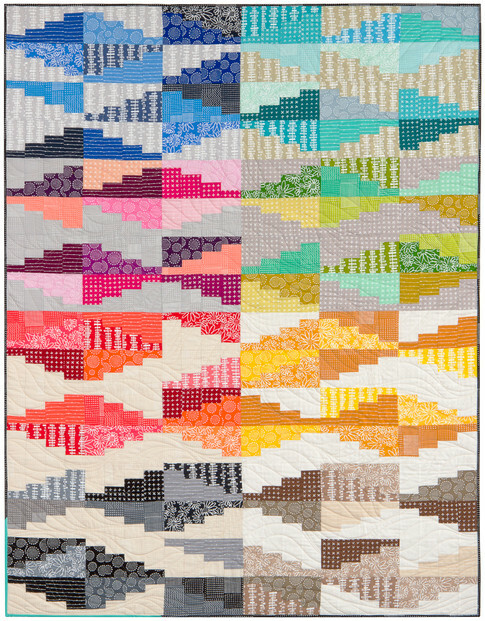 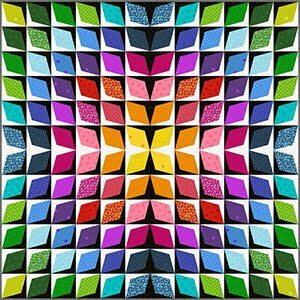 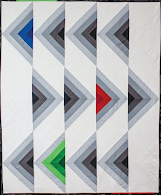 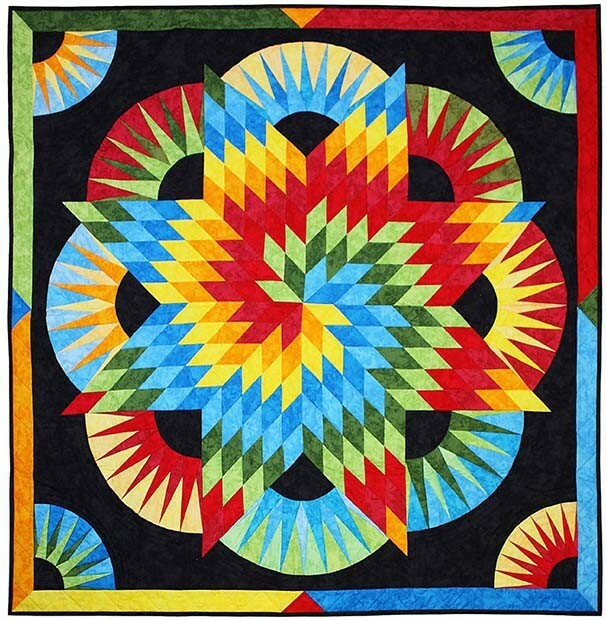 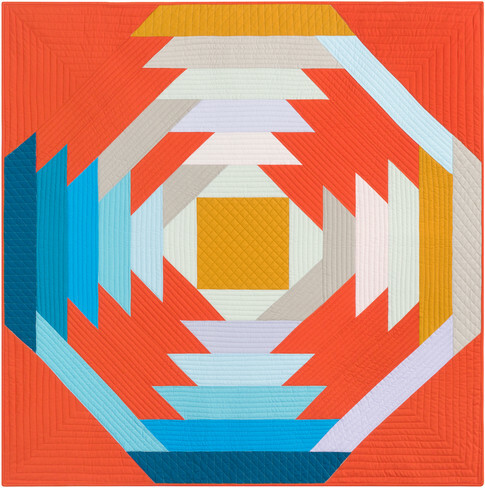 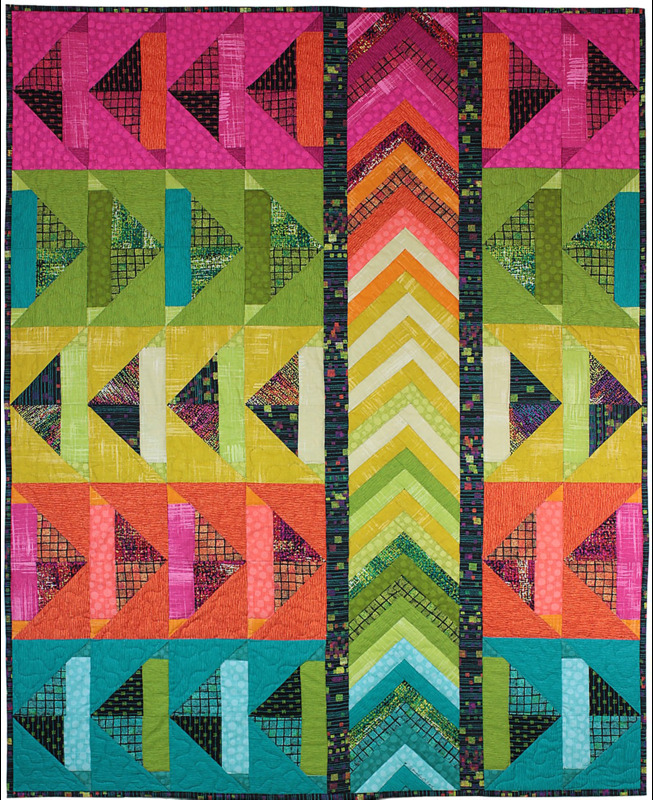 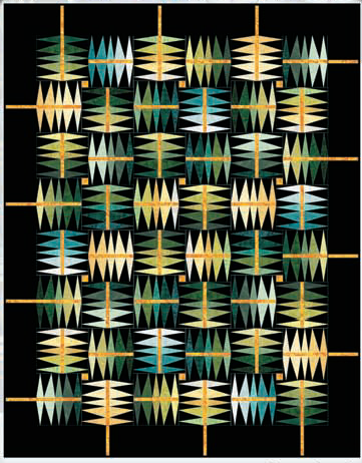 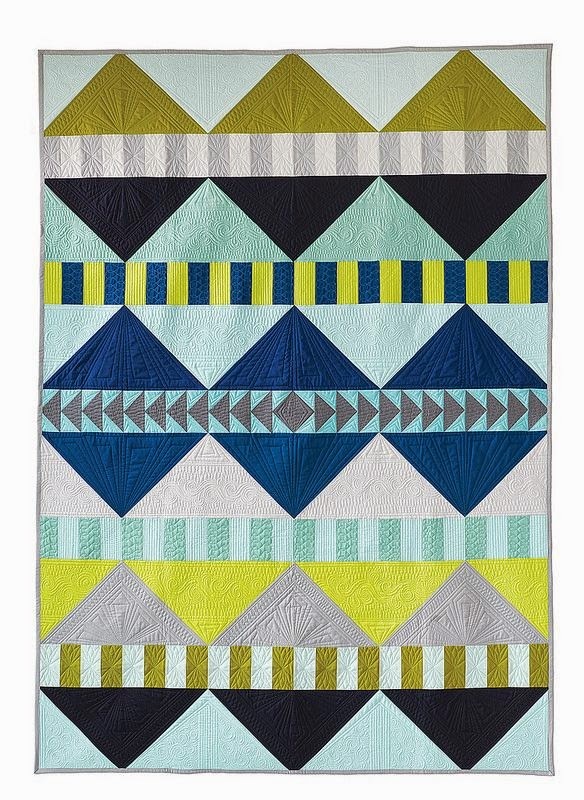 Bargello quilts by Marilyn Doheny (signed)! 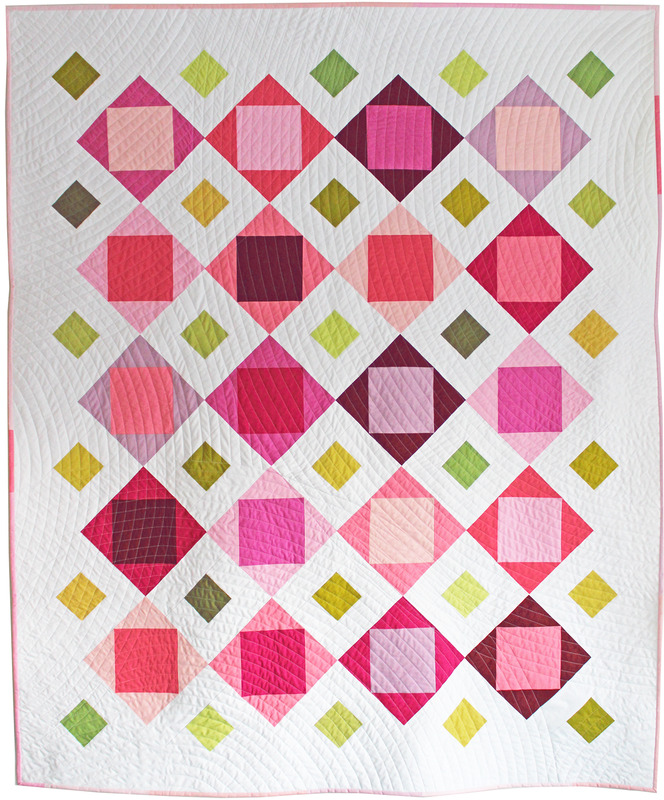 IMMEDIATE shipping from our eBay store! 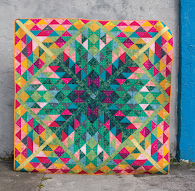 free pattern: Giant Pineapple quilt (click for pdf)! 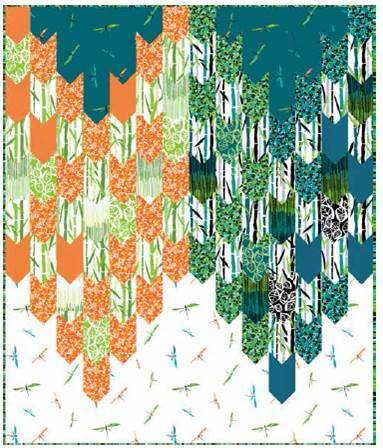 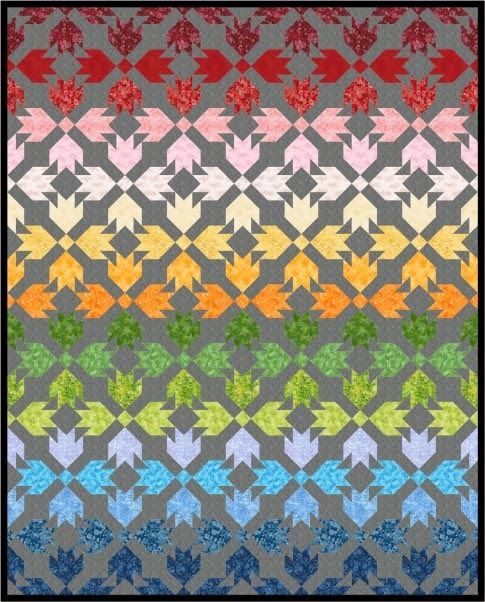 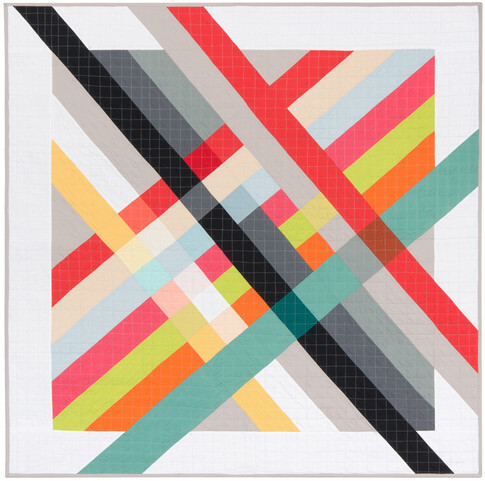 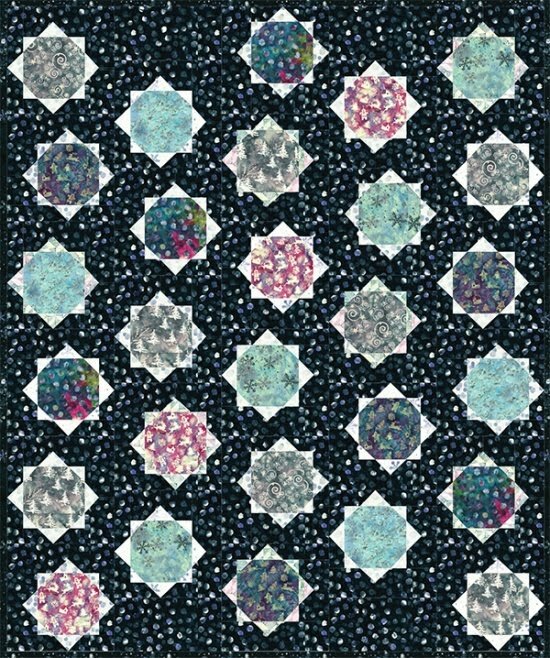 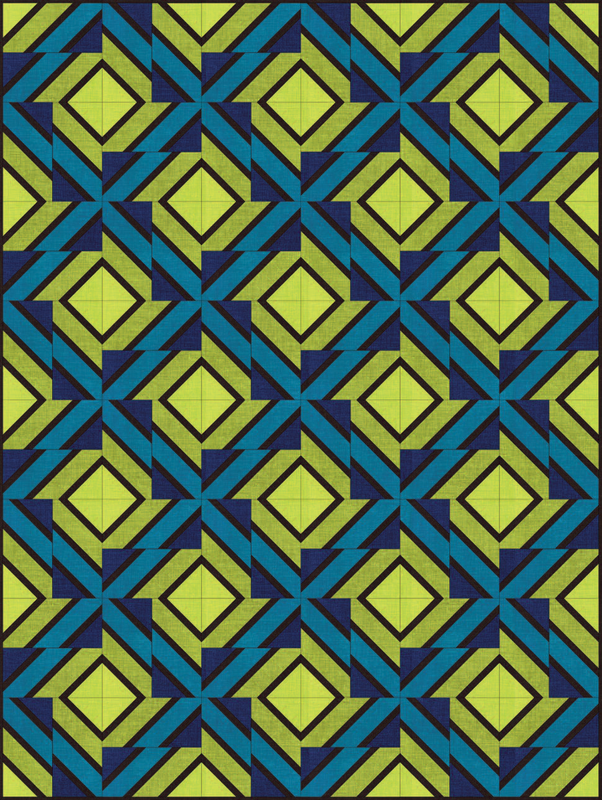 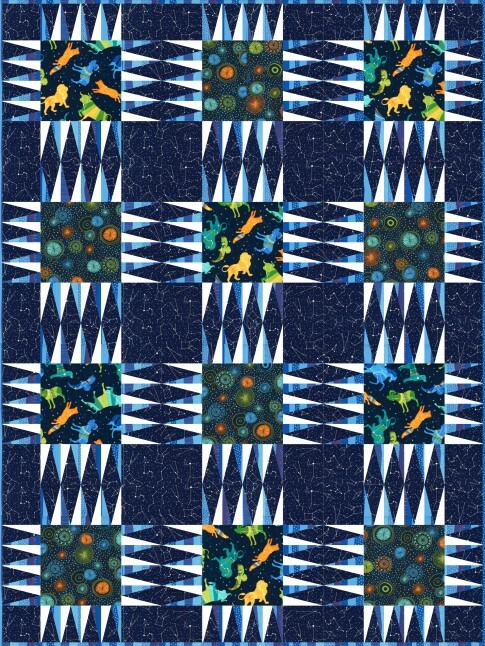 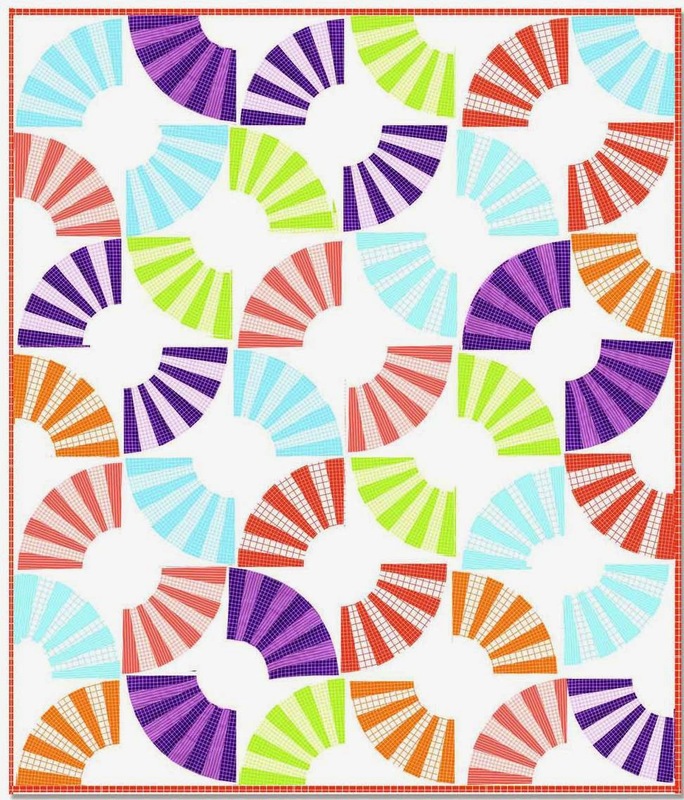 Tessellations (Snail's Trail) quilt pattern ! 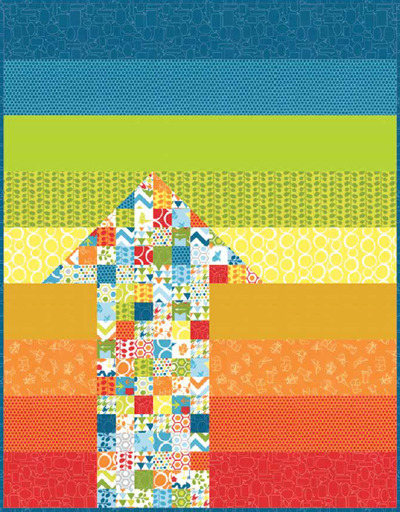 Share this site with a friend ! 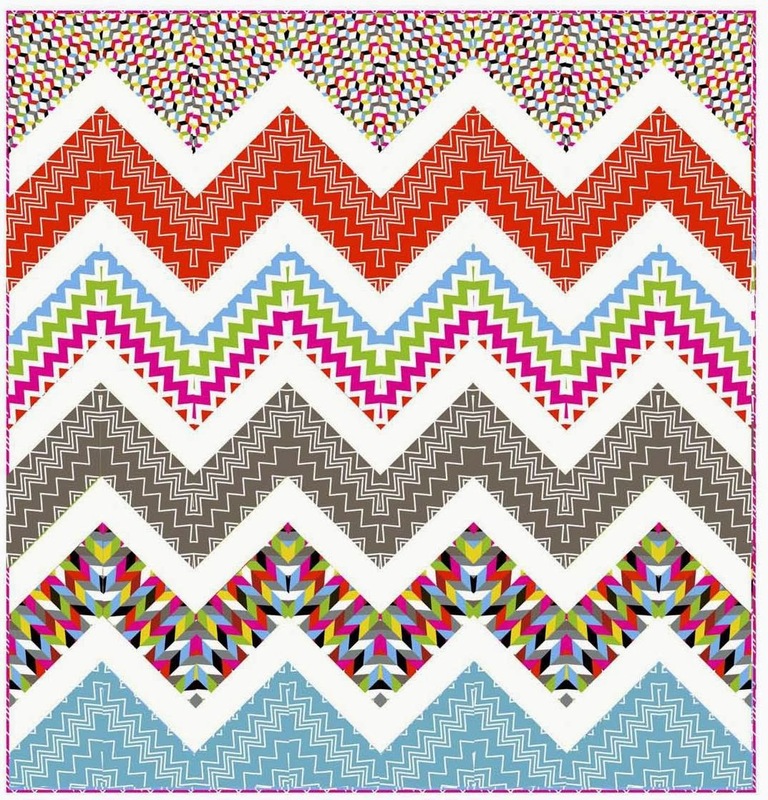 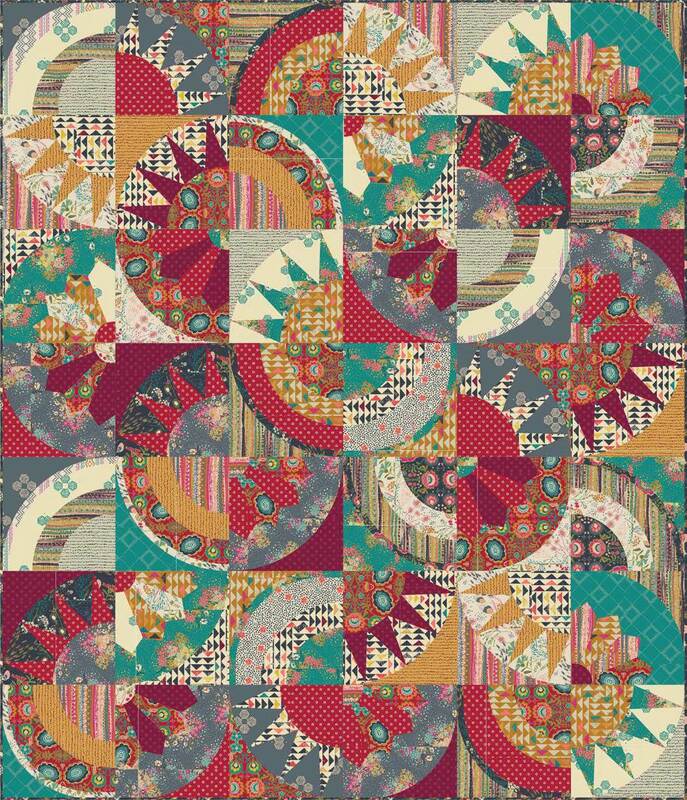 Moxie by Tula Pink !